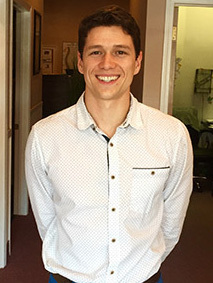 Dr. CJ Cameron has been under chiropractic care since he was an infant. His mother experienced the benefits of care and felt it was necessary for her newborn child to see a chiropractor for wellness. As a result, Dr. CJ rarely got sick in his youth and only went to the doctor for physicals. Having an athletic background, chiropractic care has kept him healthy and injury free from pee-wee football to collegiate lacrosse. He was so grateful he decided to become a chiropractor himself and share this gift with the world. CJ graduated from the prestigiousNew York Chiropractic College where he performed his residency at the Depew Health Center in Buffalo. He specializes in caring for athletes and children and has a passion for helping people get well. Outside the office, Dr. Cameron is an outdoors enthusiast and enjoys competing in many sports including jiu jitsu and rock climbing. With a free consultation at our chiropractic care center, you can find out exactly how we may be able to help. Contact us today for a convenient appointment! We accept insurance.